Significant advances in mobile technologies, network coverage and internet access have opened up exciting opportunities to improve patient-centered care and public health. KNCV Tuberculosis Foundation (KNCV) strongly believes in the positive impact digital health solutions can bring. Consider the example of ‘QuanTB’: an electronic forecasting, quantification, and early warning system designed to improve procurement processes, ordering, distribution and planning for TB drugs. 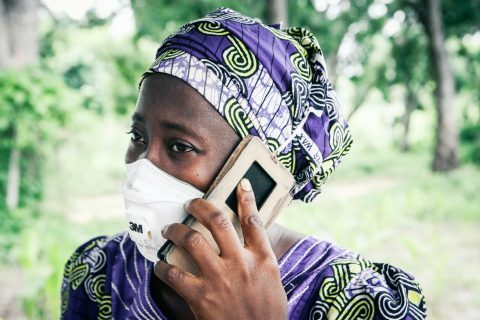 It is a tool that is especially useful now that the introduction of new TB medicines and treatment regimens (recommended by the World Health Organization) pose challenges for national TB programs. It can be very hard for TB patients to persist in taking their daily TB treatment for 6 to 24 months. KNCV believes that digital technologies can help patients complete their treatment. Health care workers will also receive more information that will enable them to help their patients better. Eventually this will lead to higher success rates of TB treatments. An important goal that will be realized by facilitating data-driven, patient-centered, differentiated TB care. In the coming year KNCV will assess the opportunity and efficacy of these digital adherence technologies by conducting demonstration projects in several countries. KNCV works on a great variety of digital solutions along the patient pathway; ranging from tools that make life easier for both patients and health care providers to tools that strengthen surveillance and connectivity between diagnostic systems. Connectivity may sound like a cold hardware solution, but in reality brings ‘warm’ experiences for the end users, most notably patients and their families.